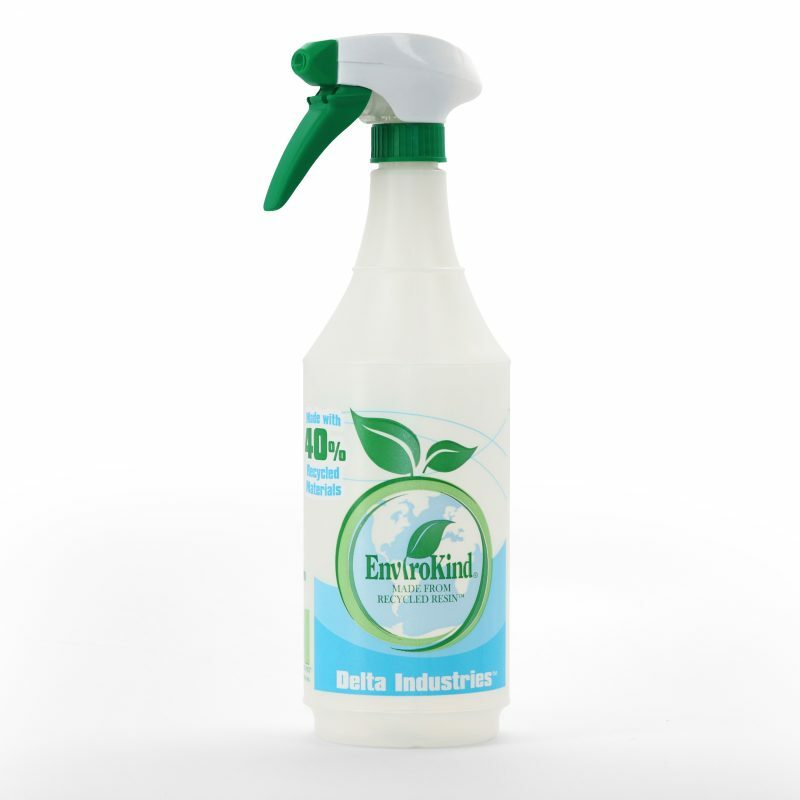 Our Go Green Spray Bottles lead the industry in being environmentally friendly. The sprayer has no metal parts, making the sprayer compatible with most recycling streams. The bottles are made of 40% post-consumer resin, and are 100% recyclable. Delta’s Spray Bottles are made to last. Go Green Spray Bottles can be used just as you would more traditional spray bottles. Re-using them saves money and resources. The Go Green bottle has check off grids and graduation scale for identifying and measuring contents. Dimensions: 11.75" x 4" x 4"
Carton Dimensions (inches): 20.62" x 12.25" x 8"
Pallet Dimensions (inches): 40" x 48" x 44"